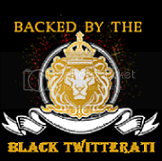 Black Twitterati: June 2009Black Twitterati- Celebrating the Black Twitterati... one tweet at a time. Who's worth following, who isn't. As former media people, it's tough to watch the newspaper and magazine industries go up in flames. Today Vibe, one of the country's last urban music and entertainment publications, became more kindling on the fire. The magazine announced it is closing its doors, a move which we're told was a surprise to some Vibe staffers. More information here. Vibe was started in 1992 by Quincy Jones, who later sold the magazine. Since then, many talented writers and editors have passed through its doors. We wouldn't be the least bit surprised to see several of the latest staff members doing big things in the near future. 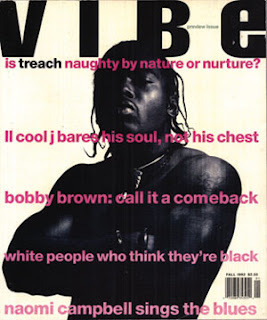 The photo in the top left corner shows Vibe's premier issue, featuring Treach of Naughty by Nature. 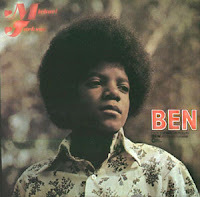 Stars have been paying homage to music icon Michael Jackson since his sudden death last week. Thanks to the internet, people around the world are seeing those tributes are turning them viral. And some of them are really very heartwarming. We thought we'd forgo our usual weekly activities to show you just a sampling of the most popular ones. Stevie Wonder remembered Michael Jackson with two touching tributes over the weekend. The second one included singer John Legend. The BET Awards show on Sunday night is receiving mixed reviews. (Be sure to read PittsIndeed's Dear BET: What the F^@k Was That? ) But it also gave us a very classy tribute from Maxwell and personal stories from the O'Jays. What took us so long to get to JNez? He had already caught us checking him out. 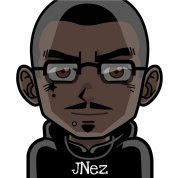 So, why no JNez piece on Black Twitterati until now? Our answer: It wasn't Father's Day weekend until now. JNez does warn you right off the bat that his tweets may not be everyone's cup of tea. But, of course, his uniqueness turns out to be his greatest strength. Daily he struggles with depression, HIV/AIDS, relationships, and accepting his sexuality. But the most important part of his life is unmistakable: Fatherhood. As many of us have discovered, being a parent shows you what you're really made of. So, while we may marvel that JNez regularly cares for his two daughters (and is currently taking care of a 3 month old nephew) in the midst of personal struggles, it's clear that children are the light of his life. He puts it best himself when he says, "You all know that despite my issues, fatherhood is very, very good for me." JNez is the kind of blogger we all want to be when we grown up and are no longer afraid what people think. His ability to express inner turmoil and put himself "out there" is completely unmatched and last year it won him the 2008 Black Weblog Award for Best Personal Blog. His online journal makes you question yourself about how much of your iceberg is above the water. Some posts are pure poetry. No, really- in the form of a poem, and always with a twist at the end. Through it all, though, this is a witty guy! We've watched him whip his rhyming skills and sense of humor into a handful of funny lines (like one "biting" verse called "Greedy" ). He excels at tossing out shiny coins that keep us coming back, because everyone knows Dad's pockets are always full of goodies. Happy Father's Day, JNez! Both men and women complain about the time it takes them to groom themselves and get out of the door in the morning. 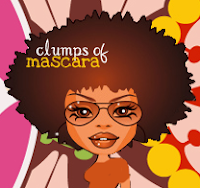 But for two years now ClumpsOfMascara has been making beauty and style fun for her readers. As we've said before, you have to hand it to the real beauty bloggers who are trying out dozens of products at a time so the rest of us don't have to. ClumpsofMascara is one of the most exciting to read because she has maintained her enthusiasm. From lipgloss to nail polish, she has truly done it all. Her blog is a bright, friendly place we hope to visit for many more years to come. Happy Anniversary to Brittany and the crew!!!! This ain't livin', This ain't livin'"
BlackCanseco is one of those Twitterers you really have to try to get to know in order to see his big picture. At first glance he's a blogger of culture, music and politics. But dig a little deeper and you'll find he has a definite angle: It's time to "get out from under". If you think BlackCanseco hasn't been where you are - maybe working in corporate America, maybe being underpaid or overworked, maybe finding out that you aren't running a race but spinning in a hamster wheel, maybe learning that the good fight is sometimes just a myth - think again. He's the author of Knock the Hustle: How to Save Your Life and Your Job From Corporate America, which talks about his former life as a writer for Chicago ad agencies. The life experiences that gave birth to the book also spawned the material BlackCanseco's followers have access to everyday. You have our permission to join the crowd. You just might learn something. ReneeJRoss, also contributed to this piece. Who says you can't use Twitter to conduct business? For months now, we've been watching people like CandiceNicolePR wheel-and-deal through social media. Working at Black Entertainment Television might be enough of a challenge for most 20-somethings. But CandiceNicolePR is simultaneously branching out by running her own public relations outfit and blog. She's also a contributor and consultant to online magazines. On any given day, you can find her networking with publicists and designers or giving the lowdown on up-and-coming music artists. But she does it all with no hard sell and no demands. She's one more person who is keeping the "social" in social media. Keep your eye on her!